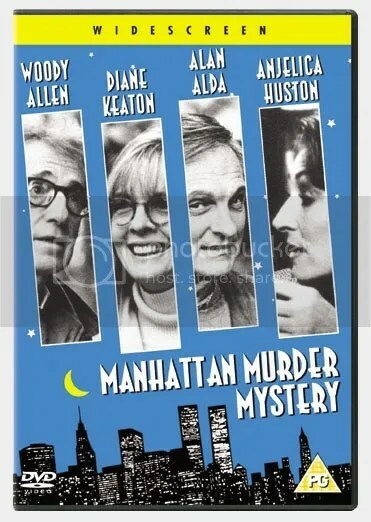 Woody Allen directed this 1993 comedy film, which he co-wrote with Marshall Brickman. In it, he and Diane Keaton played a longtime married couple, Larry and Carol Lipton. Jerry Adler and Lynn Cohen play Paul and Lillian House, and older married couple who move into the apartment next to them. One night, the House’s invite the Lipton’s over for dinner, and they all get along great. But then the next night the Lipton’s are shocked to find out that Lillian suddenly died of a heart attack. Over the next few days Carol gets suspicious when she notices that Paul seems to be acting rather cheerful for a man whose wife has just died, and starts doing a little snooping around, and suspects that Paul may have actually murdered his wife. But Larry thinks that Carol is just imagining things, and should mind her own business. Alan Alda plays Carol’s longtime friend, Ted, who believes in her theories and starts to help her investigate Paul, looking into inconsistencies in Paul’s story of Lillian’s death, and uncovering evidence that he has been having an affair with a much younger woman named Helen (played by Melanie Norris), an aspiring actress. Meanwhile Larry gets jealous of all the time that Carol and Larry are spending together, and begins spending time with Marcia (Angelica Huston), a writer that he’s been working with (he’s a book editor). Eventually Carol convinces Larry that there was indeed a murder, and the two of them team up with Larry and Marcia to find the evidence they need to expose Paul. I won’t spoil the ending, but I will say that there are a lot of twists and turns that you will not see coming before this film mystery is solved. Allen’s penchant for witty one-liners is prevalent here, and he and Keaton have absolutely fantastic chemistry together. I was pleased that Allen didn’t go the cliché route of having either of their characters cheat with Alda or Huston’s character. It is clear that Larry and Carol have fallen into a bit of a rut as the film opens, and that Carol’s investigation of Paul initially starts off as a way for her to find some excitement in her life again, which is what makes Larry so concerned. But when Carol’s life is endangered and Larry is the only one who can save her, their feelings for each other come flooding back.